It's McSweeney's Week according to me! 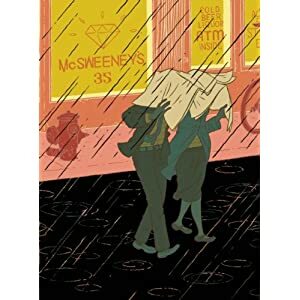 This week will feature some of the great covers put out by the ultra-hip McSweeney's. This will serve as blurb for the week since I don't feel like repeating myself. The covers from McSweeney's are creative and artsy and they really stand out on the shelf. You know a McSweeney's book just by looking at it and I think that really says something about the design, I don't think there are any other publishers you could say that about. I don't know much about this book but I stare at it every time I walk by it. There's a zeppelin, a red lightning bolt, a mysterious man with a top hat, and a giant red question mark, very intriguing. 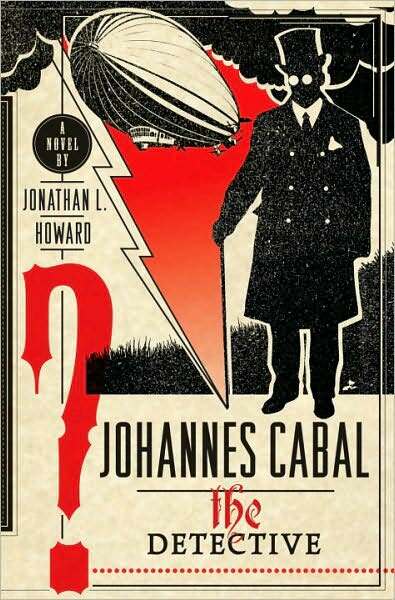 A blurb on the front flap reads, " Steampunk meets the classic Sherlockian mystery in this rip-roaring adventure in the sky, where anything could happen . . . and does. ", oh yes, very intriguing indeed! I've in a way already warned you to the fact that I'm drawn to simple, iconic, imagery in a newsprint color scheme, so this cover should be no surprise. And who designed it? That's right, Chip Kidd. Man, that guy is too good, it's just not fair. Though this most likely wasn't done by hand, a computer is probably the culprit now-a-days, I love the hand-made feel of this design. Collage elements along with the typeface looking stamped and slightly not quite aligned properly, the colors pop and catch your eye. This is a fantastic cover. 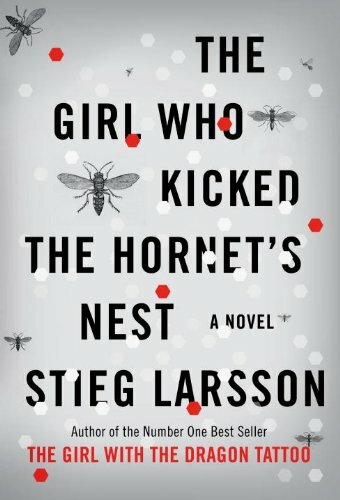 I love the sparing use of red on this silver, black, white, and gray palette, it's as if the red dots are drops of blood. As with the previous Book Cover of the Day, The Geometry of Pasta, simplicity is the key to this design and the key to why it catches my eye (not just because of its use of my favorite color combination). The elegance of this book is stunning. The design of the cover continues throughout the book making it the most beautiful cookbook I've seen. Each shape of pasta has a short history and a recipe all illustrated with these black iconic images. 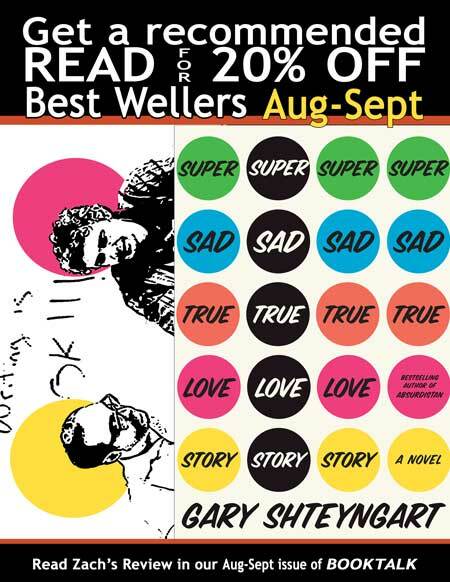 Go ahead–judge a book by its cover. 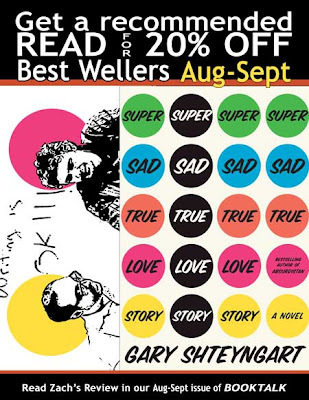 Told with grand, drunken glee, wild comic strokes straight to the solar plexus, leaving the reader clutching the best and worst parts of childhood, Gary Shteyngart gives us Lenny Abramov; he gives us Eunice Park; he gives us a United States on the brink of foreclosure. The stage is set for an epic romance. Volleying narratives between Lenny’s diary and Eunice’s Global Teens Account (think Instantaneously Instant Messages with techie ornamentation). We learn about Lenny’s fears of dying young, or dying–period–with the opening sentence: “Today I have made a major decision: I am never going to die.” We learn of the open book character, Lenny, his super true love for Eunice, which may or may not be reciprocated. The book is an ode to family, familial obligation, and siblings. It is a lament on the current “values,” an audible scream that if you hold the book just right, you’ll be able to hear. 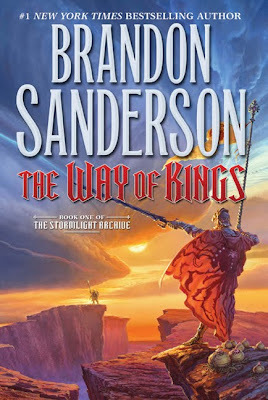 Way of Kings Pre-ordering Almost Over! 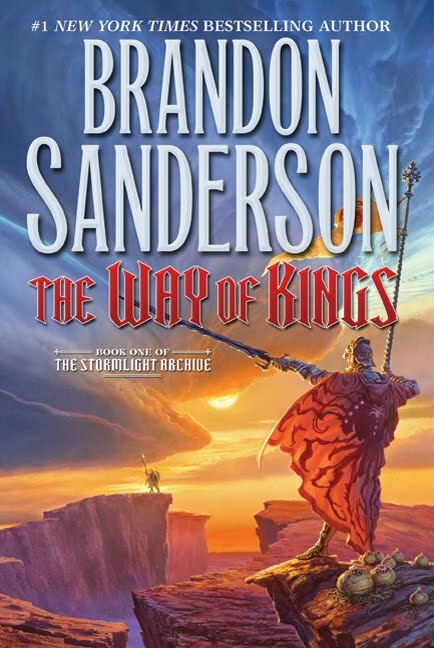 Sam Weller's Bookstore is still taking orders for signed and numbered copies of Brandon Sanderson's newest novel and the first book in a new series, The Way of Kings: Book One of the Stormlight Archive! We're offering it for $22.39 - 20% off the cover price of $27.99. We are shipping via United States Postal Service priority mail. Brandon will be coming to sign the books early, so that we can ship them to arrive on or shortly after the release date of August 31st. That means we can only take orders for signed and numbered copies until 6:00 PM MDT, on Friday, August 20th. Payment must be made with a credit card or PayPal when you order. Call us at 1-800-333-7269 or (801)328-2586 or e-mail us at books@samwellers.com to order. Chelsea Handler In Store Appearance - Canceled! We regret to inform you that Chelsea Handler has canceled her appearance at Sam Weller’s Bookstore scheduled for August 6th at 5:00 PM. She will still be appearing at Abravanel Hall, and Sam Weller’s Bookstore will still be handling her book signing after her show. Fear not! Books are still available for sale right now, but instead of coming to the store for the signing, you will now pick them up at Abravanel Hall to be signed there. Those who do not have tickets for the show will be given wristbands that get you in for the after-show signing at approximately 10:00 PM. If you are unable to come to the later signing, we will have Ms. Handler sign the books for you, and you may either pick them up at the store or have them shipped to you. If you have not already reserved your copy call 801-328-2586 to reserve now. We regret to be the bearers of bad news.